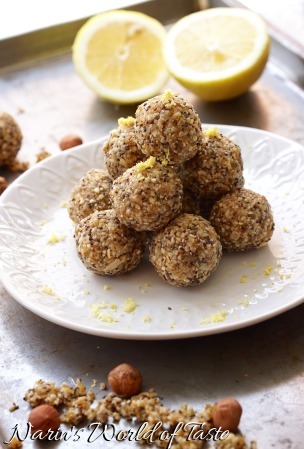 Have you tried making your own energy-balls yet, the superfood of 2017? If not, you should really give it a try. They’re not only super healthy, they’re also so easy to prepare and you can store them for up to a week in the fridge. That way you and your family can enjoy healthy snacks every day. 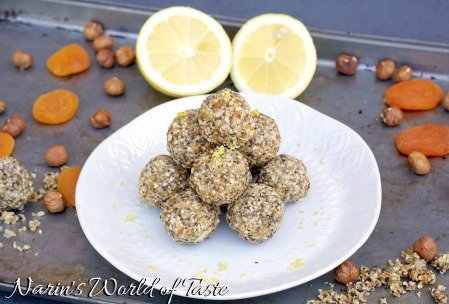 In this energy-ball recipe, I used apricot and hazelnut in combination with lemon and honey, which created a fresh and nutty flavor. Wash the lemon and zest about 1/4 of it’s skin. If the coconut oil is hard, soften it by heating it slightly above 25 °C / 77 °F. 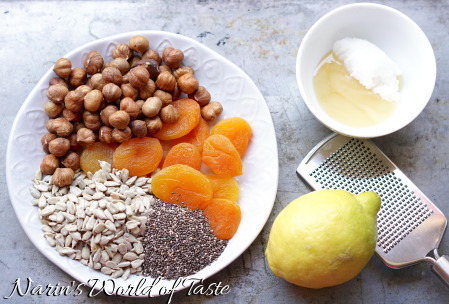 Pour the hazelnuts, dried apricots, sunflower seed, chia seeds, organic honey, coconut oil, and lemon zest into a food processor. Puls until everything is chopped thinly and starts sticking together. 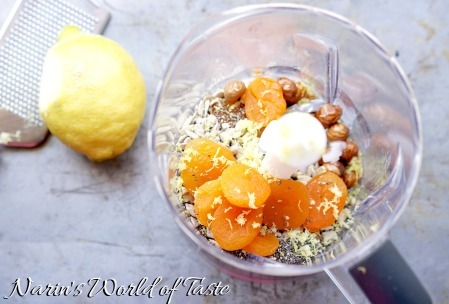 Form about 12 tablespoon-sized balls by rolling the mixture between your hands. 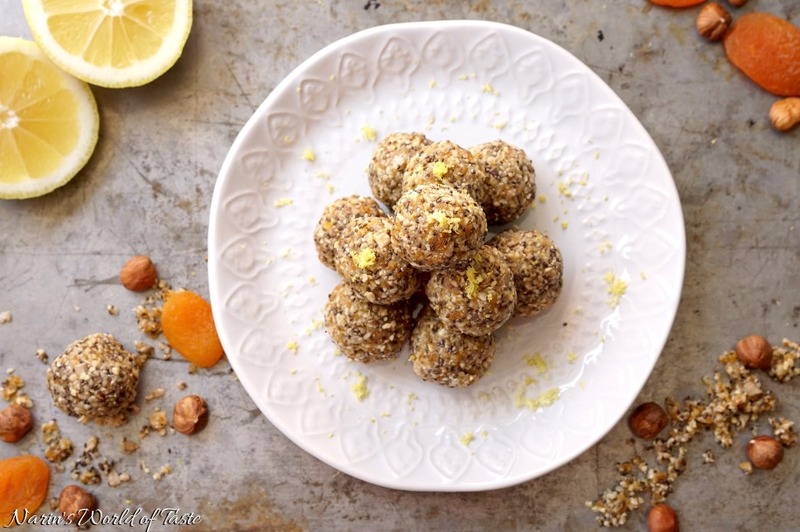 Serve as a snack in between or as part of your dessert after lunch or dinner. I recommend taking them out of the fridge about 15 minutes before serving so that they warm up a little.